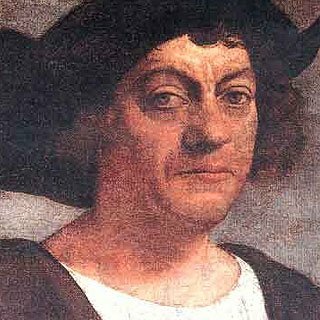 After Europe hailed his discovery of the Americas in the 15th century, Christopher Columbus was blamed for introducing syphilis to Old World. However, several reports have since argued the case that the deadly disease was already widespread before Columbus landed back in Spain in 1493. Researchers George Armelagos, from Emory University, Molly Zuckerman, from Mississippi State University and Columbia University’s Kristin Harper, claim that all the evidence putting Christopher Columbus and his crew in the clear is flawed. Curable in the present day by antibiotics, syphilis used to be a debilitating and often fatal disease. Caused by the Treponema pallidum bacteria, syphilis affected the heart, brain, eyes and bones and was the scourge of every major city. Ever since the first recorded case in Europe took place in 1495 – three years after Christopher Columbus’s first voyage to the New World – doctors have argued over its origins. Historians who argue that Christopher Columbus couldn’t have been source point out that rudimentary 15th century medical know-how meant that doctors would not have been able to distinguish the disease among others that had similar symptoms, so it could have been around for a long time. There are also skeletons from Europe that pre-date Columbus’s epic voyage and that show signs of syphilitic lesions. It’s strong evidence and George Armelagos admits to finding the idea of Christopher Columbus bringing the disease back laughable at first. But then he began a closer inspection of the 54 published reports putting Columbus in the clear. George Armelagos found that the skeletal material wasn’t irrefutable proof, by any means. Writing in the American Journal of Physical Anthropology, George Armelagos’ team report: “We did not find a single case of Old World treponemal disease that has both a certain diagnosis and a secure pre-Columbian date. In the cases where the skeletons definitely were afflicted with syphilis, the researchers noted that they came from coastal areas, which would make radio-carbon dating difficult. This is because it’s likely the victims ate seafood, which can contain carbon many thousands of years old from water wells.